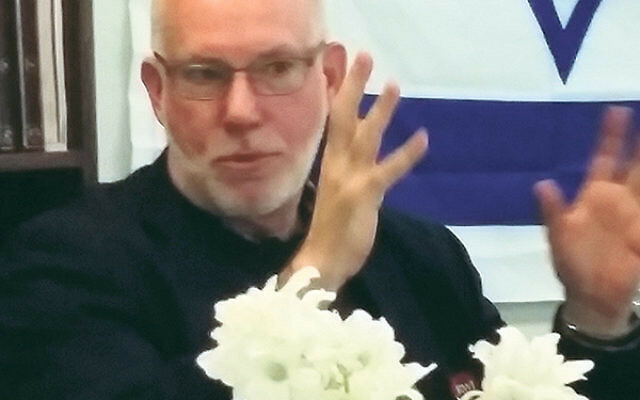 At the Zayin Adar gathering, Ted Taylor, director of pastoral care and training at Robert Wood Johnson University Hospital-Hamilton and a devout Quaker, described his faith’s minimalist yet respectful approach to death. The seventh day of the Jewish month of Adar is not a particularly well-known date on the Jewish calendar. We do not light candles, atone for our sins, or eat matza. It is, however, a day when a group of people as inconspicuous as the day itself gathers to celebrate a time-honored Jewish tradition. Known simply as Zayin Adar, the date is the traditional anniversary of both the birth and death of Moses. The individuals are the men and women of the hevra kadisha, the Jewish burial society. Traditionally and perhaps appropriately, hevrot kadisha across the world gather on this day to recognize the important work they perform in carrying out the Jewish rituals of burial, acts that not only maintain dignity and respect for the deceased but provide tremendous comfort for the living. 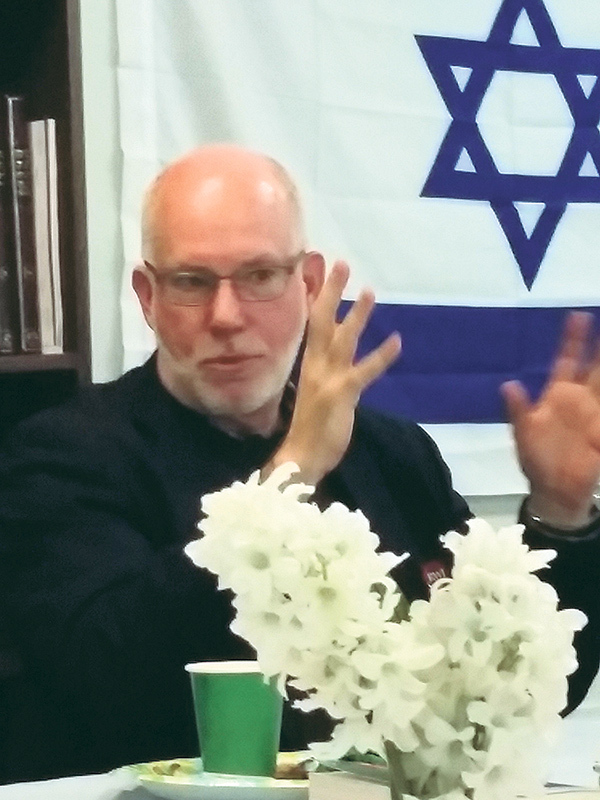 This year, on Feb. 16, the day corresponding to the Hebrew date, the members of the hevra kadisha serving the Princeton area gathered for their annual Maury Weinberg Memorial Zayin Adar discussion and dinner at the Rimon Center in East Windsor. Approximately 30 men and women volunteer for the “hevra” and perform the Jewish preparation for burial known as tahara (purification). On this evening, the group had a chance to spend time together and enjoy a meal of kosher deli and Chinese cuisine. At the center of the night was a presentation by Ted Taylor, director of pastoral care and training at Robert Wood Johnson University Hospital-Hamilton. Taylor, a devout Quaker, described his faith’s minimalist yet respectful approach to death, which provoked a lively discussion. Unlike Quaker tradition, Judaism’s approach to burial is marked by numerous rituals. At the outset of the tahara, in the presence of the corpse, all those present ask for forgiveness from any undue stress that the process may cause the deceased. They then reiterate their commitment to performing the ritual with utmost respect and honor. The tahara consists of three major steps: the cleaning of the body, ritual purification (the pouring of a continuous stream of water over the body), and dressing the body in the traditional shroud known as the tahrihim. Throughout the ceremony, individuals recite prayers and psalms and perform their duties mindfully and respectfully in quiet solemnity. “While there are obvious differences between our two faiths, at the very core of our traditions is a common goal of honor and respect for those who have passed on,” said one attendee. The discussion that night was not only about death; much of the conversation centered on the group’s curiosity in learning about the Quaker faith. As Jews, we are always reminded of the impermanence of life. As fate would have it, the group heard word during the event of the passing of a 91-year-old Holocaust survivor. The incident underscored the importance of the work these men and women perform. On Zayin Adar, we acknowledge and honor the living, those who perform the mitzva of caring for the deceased.